Outreach Services bridges the gap between school, family and community, offering tours to prospective families; classes and events for CSD families; ASL resources; workshops and events for the community. Pupil Services provides a wide range of services to meet the needs of our students including family tours and information, counseling, positive behavior intervention, the student health center, a social worker, and spoken English/communication. Career Center provides a variety of services to families and students to assist with the transition from high school to adulthood. Services include career counseling, work experience, career exploration class, work readiness program, post-graduation support, Department of Rehabilitation. 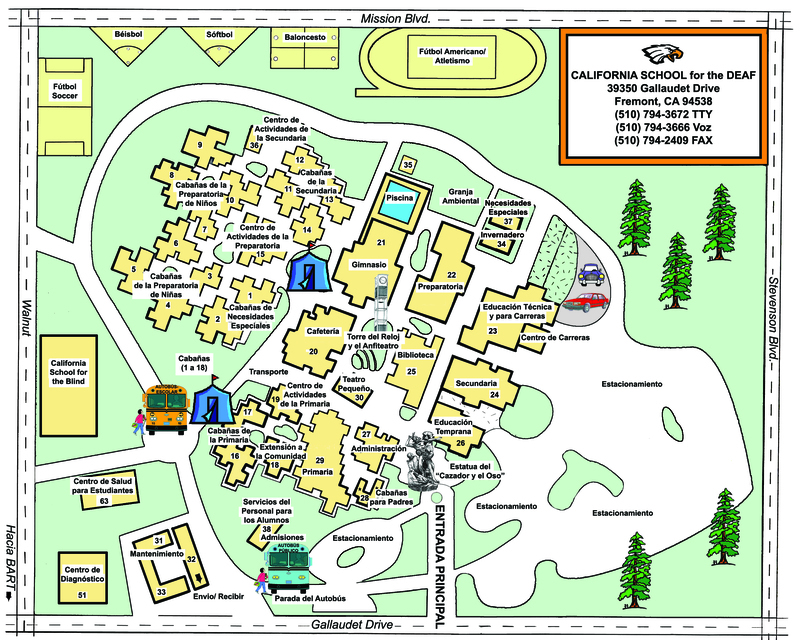 California Deaf Education Resource Center supports education services for Deaf and hard-of-hearing children in California with early intervention, parent education, assistance to local education agencies, community education, and assessment services. 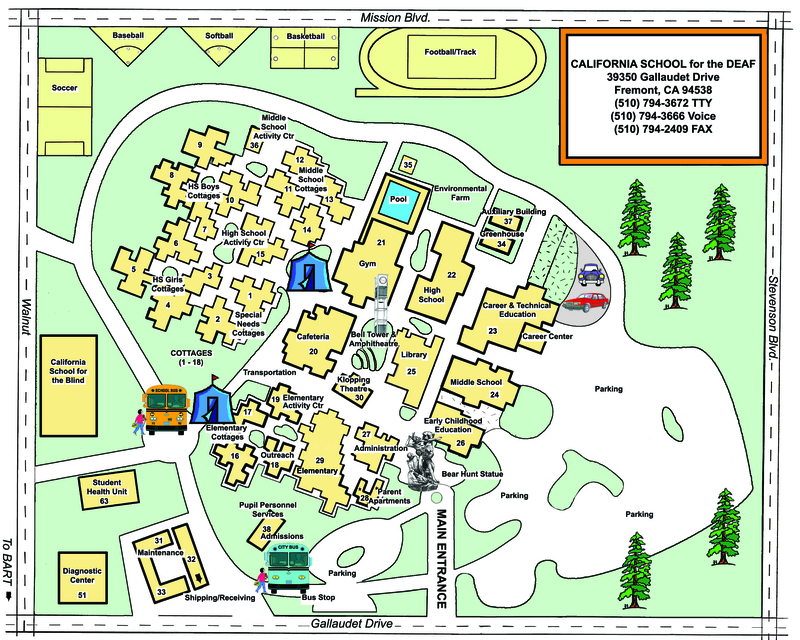 Curriculum, Assessment, and Media Services supports instruction at California School for the Deaf to enhance student learning. Designing effective assessment tools and curriculum is shared by all of the instructional leaders at CSD.